Why is it important to have a good footbathing routine? Footbathing can help to control infectious hoof diseases such as DD if it is undertaken with care, in the correct location, is the right size for your herd and is undertaken using the correct concentration of product and not using heavily contaminated solutions. How often should I footbath my herd? Daily foot bathing is recommended to clean the hooves and to help reduce cross-infection between cows. How will footbathing save me money in the long term? 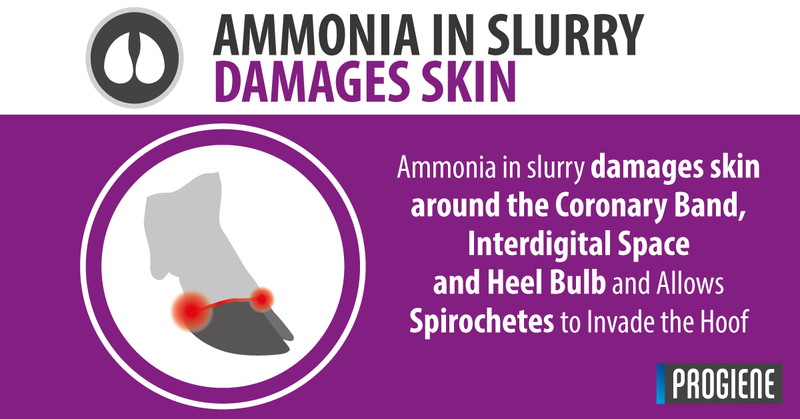 Lameness can have a direct impact on the cost of milk production at over 1p per litre of milk produced and can have indirect e ects on fertility, mastitis and metabolic illnesses. 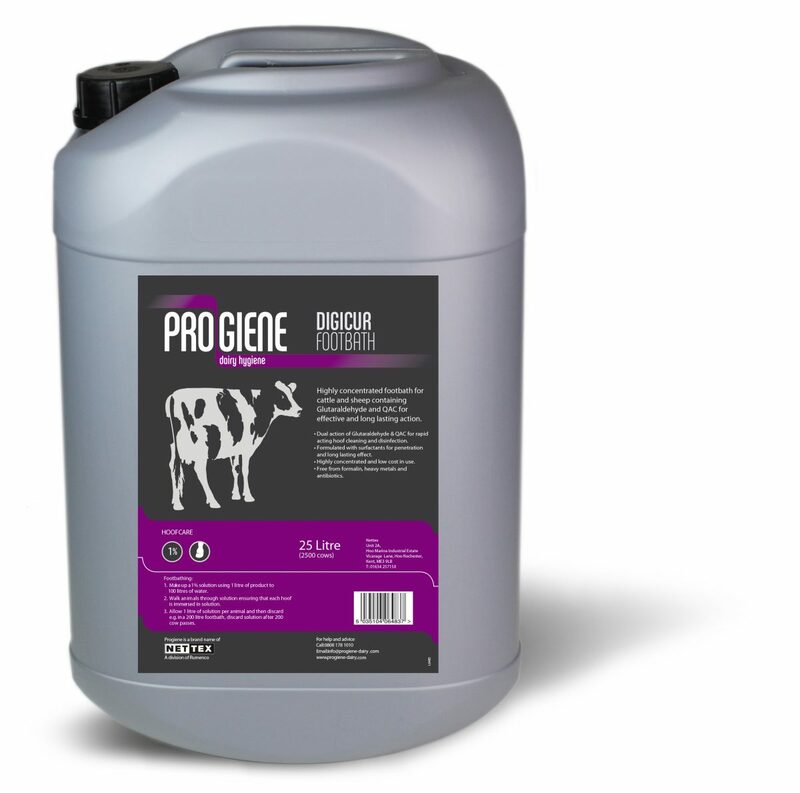 Digicur Advanced is a highly concentrated triple action, broad spectrum liquid disinfectant footbath solution containing glutaraldehyde and chelated copper and zinc which can be used for cattle, sheep and goats. How does the chelated zinc and copper benefit my herd/flock? Digicur Advanced contains a unique patented chelate that keep the copper and zinc in suspension, meaning that they work very quickly and break down in the environment. What is the dilution rate of Digicur Advanced? Digicur Advanced should be used at 2% dilution (2 litres of product per 100 litres water) and is a walk-through product that starts to work on contact and due to the long cling formulation containing heavy duty surfactants, it continues to adhere to the hooves after foot bathing. How often should the solution be changed? 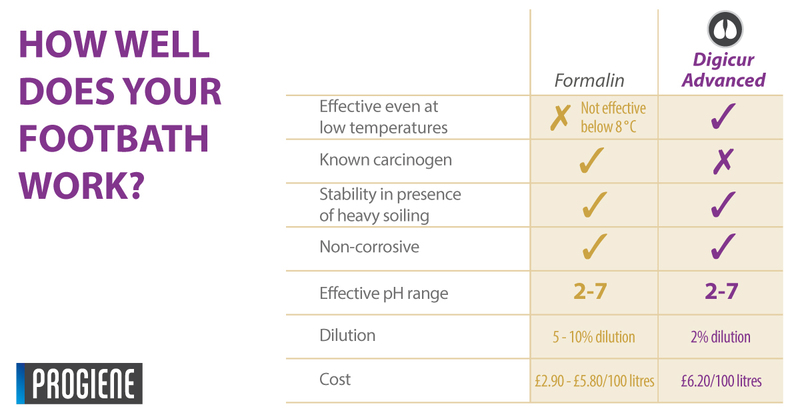 We would recommend 1 litre of solution per cow and 0.5 litres of solution per sheep e.g. 200 litres of footbath solution should be suitable for 200 cows or 400 sheep and that hooves are fully immersed at least three times whilst walking through the footbath. Does Digicur Advanced cause cancer? Digicur Advanced is not carcinogenic but does require the use of PPE (personal protection equipment) when mixing. Does Digicur Advanced work in cold weather conditions? Digicur Advanced works well when the air temperature is above 2 deg C whereas formalin doesn’t work well below 8 C.
Has Digicur Advanced been tested under lab conditions? Digicur Advanced has been tested for efficacy at 2% dilution using EN1276 and has also undergone further tests to prove e ectiveness against Treponomes, the bacteria causing DD and CODD. 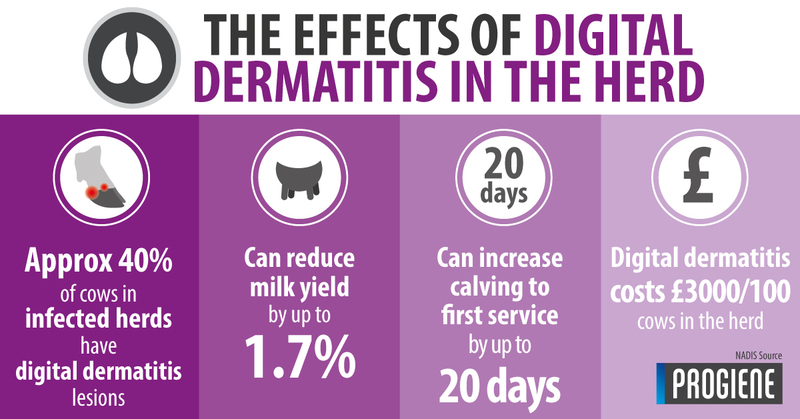 My cows do not like walking through formalin – will Digicur Advanced be any different? Digicur Advanced does not have such a pungent odour so cow and sheep acceptance is good and should walk through very calmly. Is it available in larger pack sizes? Digicur Advanced is available in 5, 25, 200 & 1000 litre pack sizes and as it is a liquid, it can be dispensed using automatic dosing equipment. Where can I buy Digicur Advanced?